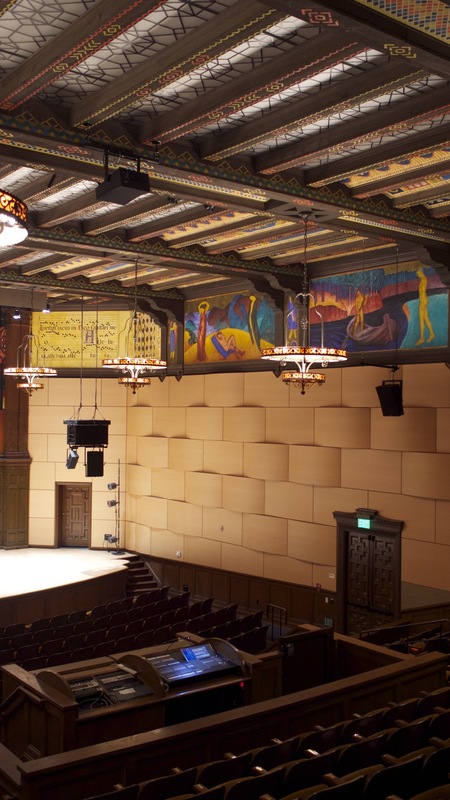 Thanks to a generous donation by Beatrice Krell, Mills College recently completed installation of a 7-channel Meyer sound system in the Littlefield Concert Hall. I co-designed and project-managed the installation which was finished on-time. I'm now building special Max interfaces to move sound within the space.